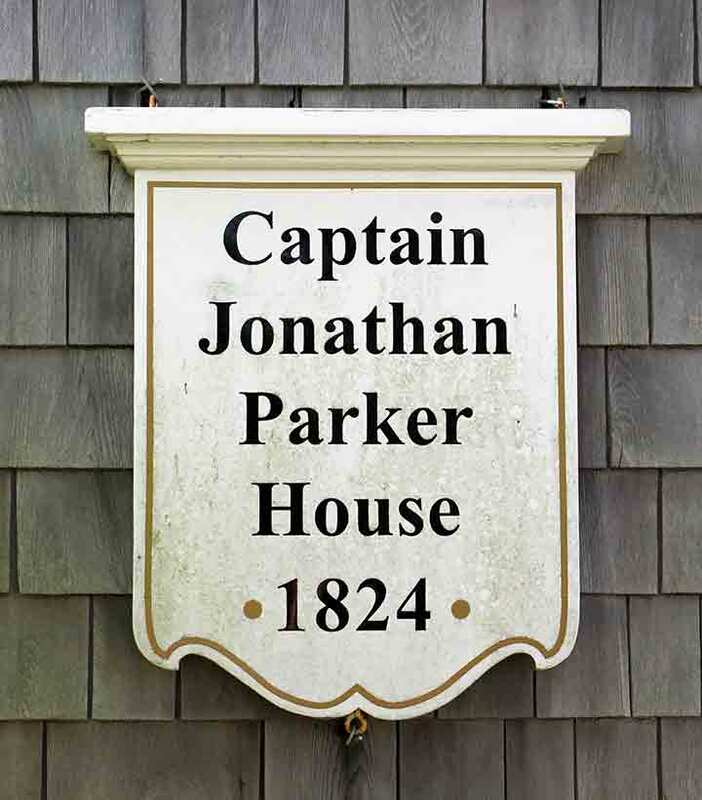 The Captain Jonathan Parker House was built in 1824 and was originally a half-Cape house. Capt. Parker was one of many schooner captains in the village that made his trade in fishing and transportation up and down the seacoast. 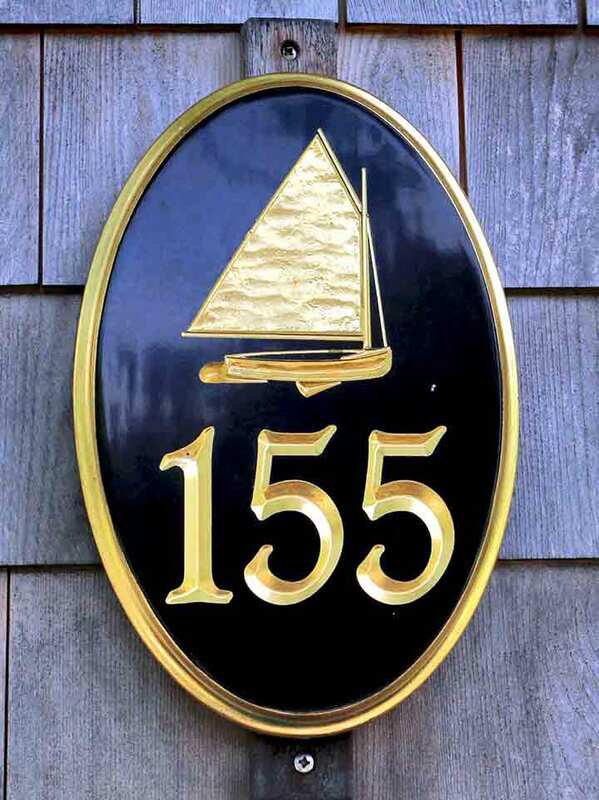 Many additions to the house were made over the next several centuries and it became the Osterville Historical Museum in 1961. As the house stands today, it is a series of rooms exhibiting the Museum’s collections, and special exhibits that change annually. The house contains 7 rooms of historical maps, 18th and 19th century furniture, art and ceramics. 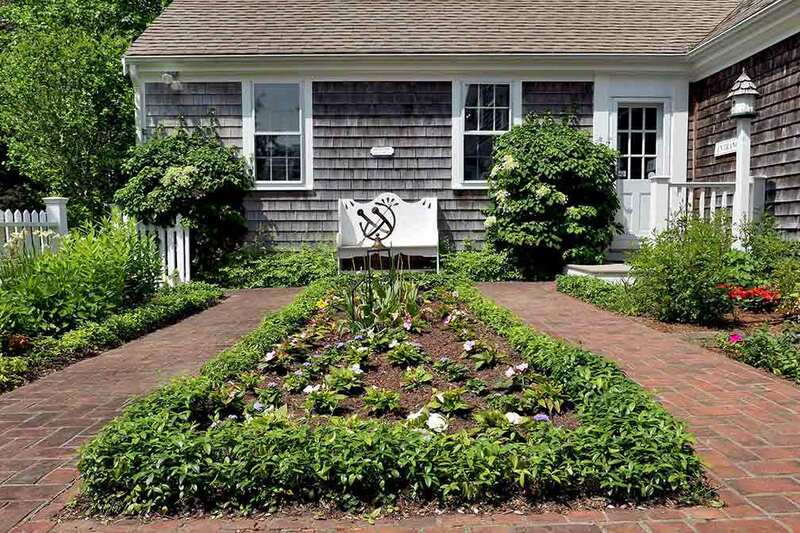 The Osterville Garden Club designed and maintains each year a 19th century ornamental garden that marks the entrance to the Museum. 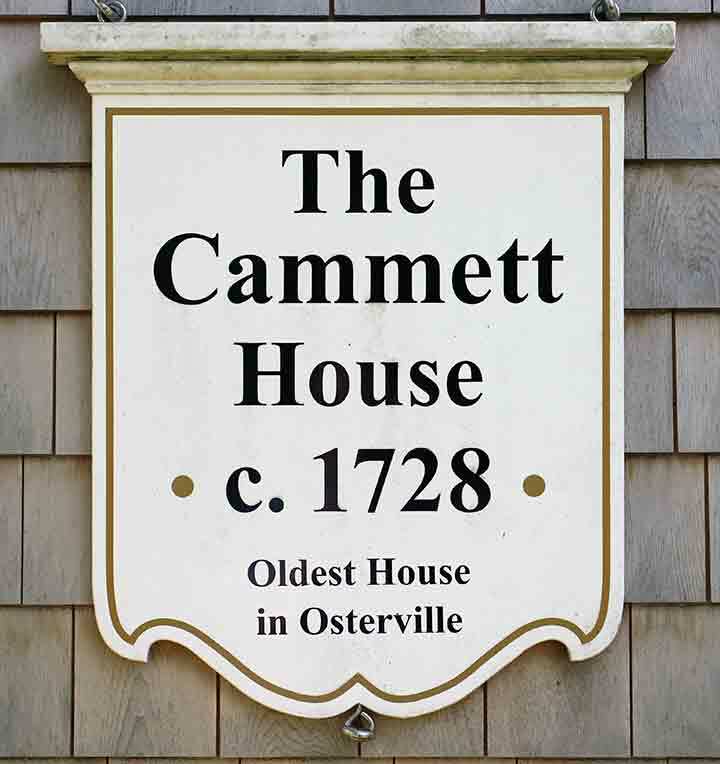 The Cammett House dates from 1720, and had an ell and extension added on in the 1830s It is named for the family of John Cammett who married in 1808 and was the earliest known inhabitant. The original “one-room deep” dwelling of post and beam construction offers a fascinating study of early construction methods. 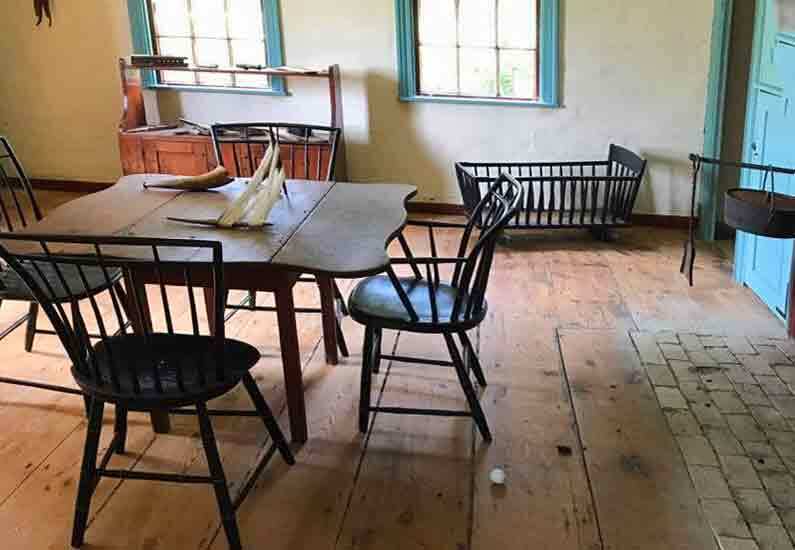 Visitors are able to view the underpinnings of the house’s earliest section from the lower observatory. 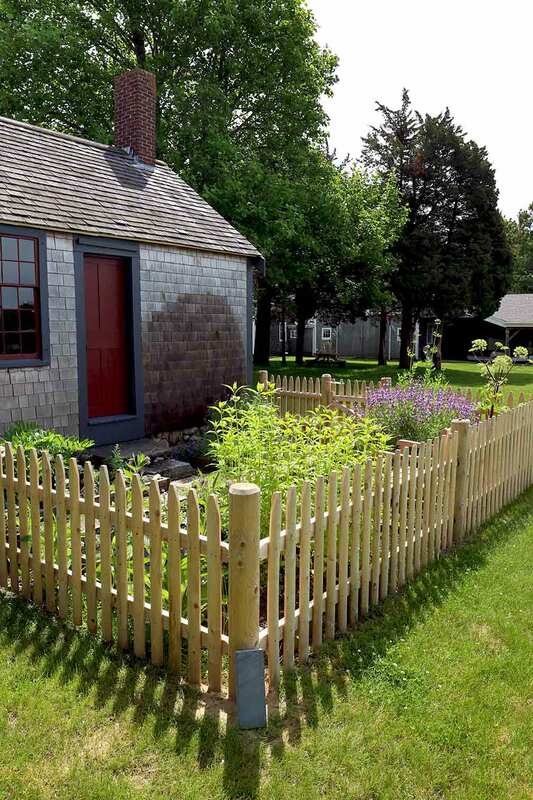 A 1700s herb garden, maintained by the Osterville Garden Club, contains plants that were once used for cooking and medicinal purposes. 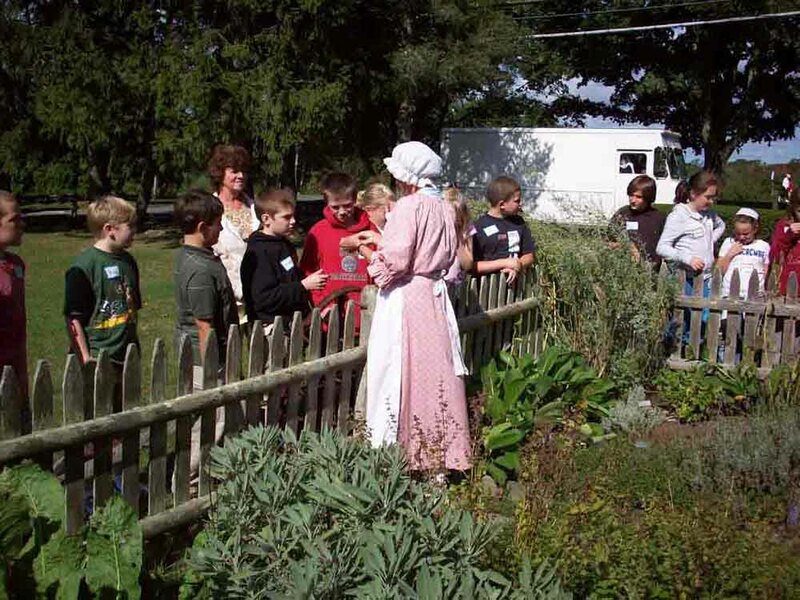 The kitchen contains a beehive oven, root cellar and cooking utensils that provide an understanding of how early settlers lived. The name Crosby has become synonymous with catboat. The Crosby Catboat originates from the second half of the 1800 and was quick to become a favorite with all sailors. Between 1850 and 1970 the Crosby family built over 3,000 catboats. 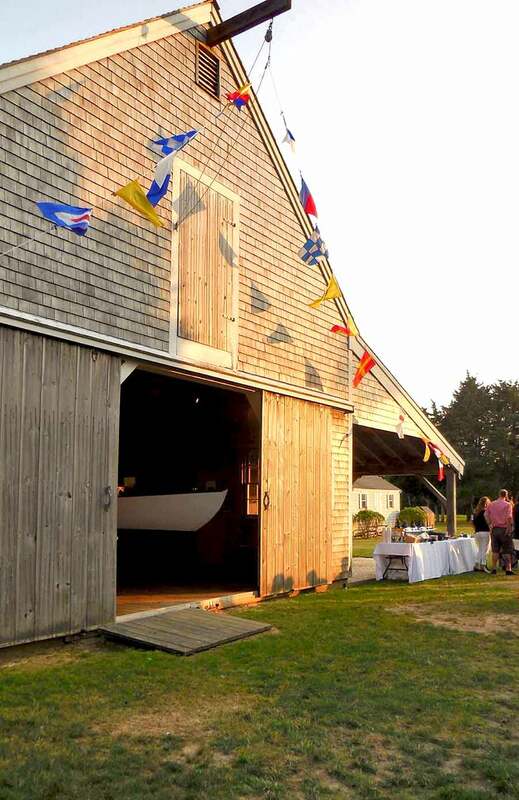 The Herbert F. Crosby Boat Shop was originally located on the shore of the bay where Nauticus Marina is now located in Osterville. When the marina was constructed, arrangements were made to move the Herbert Crosby Boat shop to its present location. 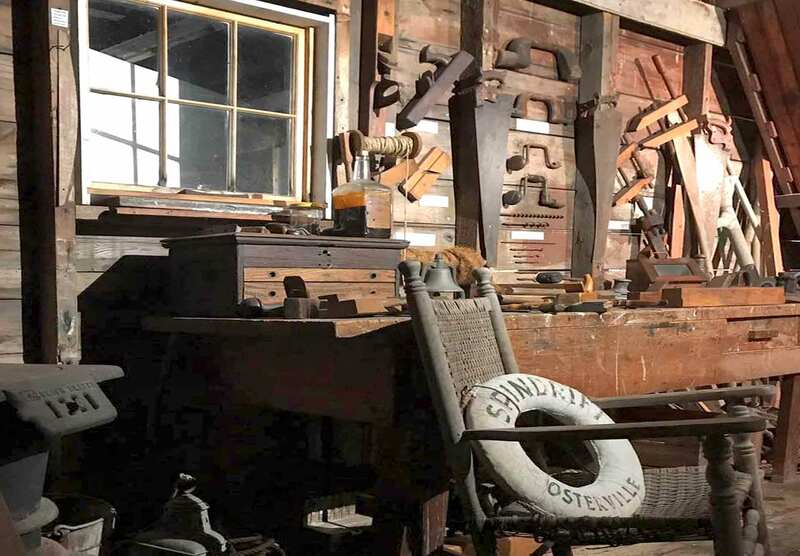 It is the authentic “Crosby Boat Shop” from circa 1855 and contains many of the original tools dating from the 19th century.boat shop. 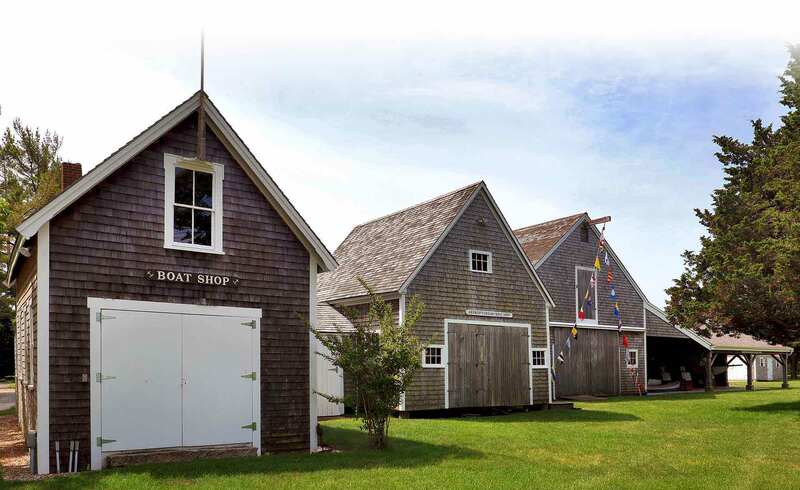 Four adjoining shops feature the Museum’s extensive collection of full-size wooden boats, half models and two “hawk nests” designed by Oliver Hinckley. The largest shop contains a Wianno Senior and a Wianno Junior, two one-design local racing classes, and a W.P.A. era mural by the artist Vernon Coleman. 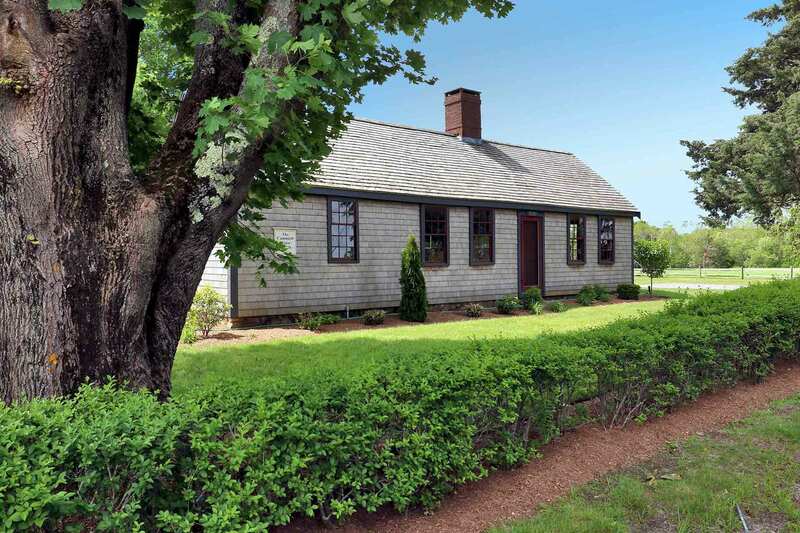 At one time on the Cape, Jelly Houses could be found all over the Cape and beyond. These houses were part of an early franchise that started on the Cape in the early 1900s by Theodore Clifton of West Barnstable. These doll-like houses, all built alike, stood by roadsides from which were sold jellies. 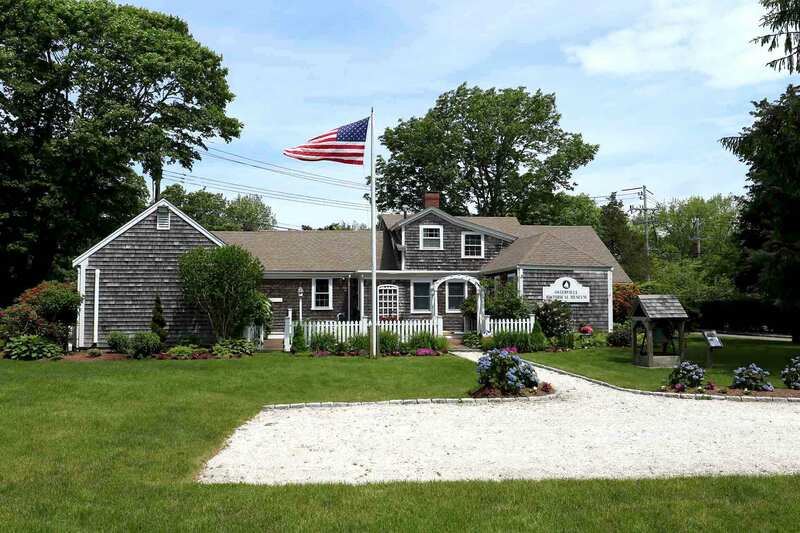 At the height of the company’s business, Cape Cod Jellies, it sold over 50 varieties. After WWII these Jelly Houses fell to disuse or (as was the case with ours) they were moved into private gardens and used as a children’s playhouse. Today it’s enjoyed by young visitors to the Museum.